Happy Friday! 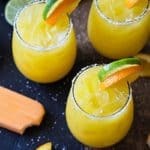 Today I’m sharing one of my favorite cocktails that tastes like a dessert: Creamsicle Delight Cocktail. It tastes just like a creamsicle! 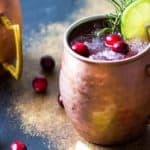 I’ve enjoyed this cocktail for years once I discovered just how freakin’ delicious whipped vodka is (dangerously delicious so beware if you haven’t tried it yet!). I had one last week and enjoyed it so much that wanted to bring it back with new photographs. 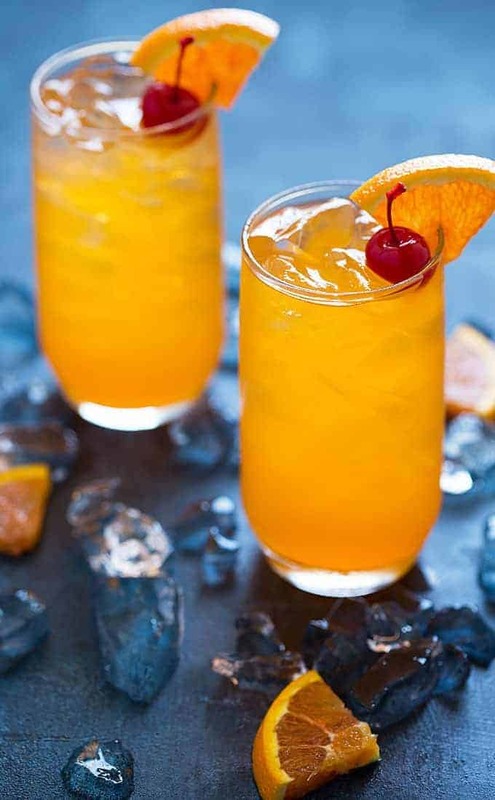 This cocktail can be made with orange juice or orange soda. In my original photo it is made with orange juice. Since I’m trying to watch my calorie consumption here lately, I made it with diet orange soda and diet ginger ale. It’s awesome either way! 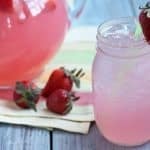 So very refreshing! 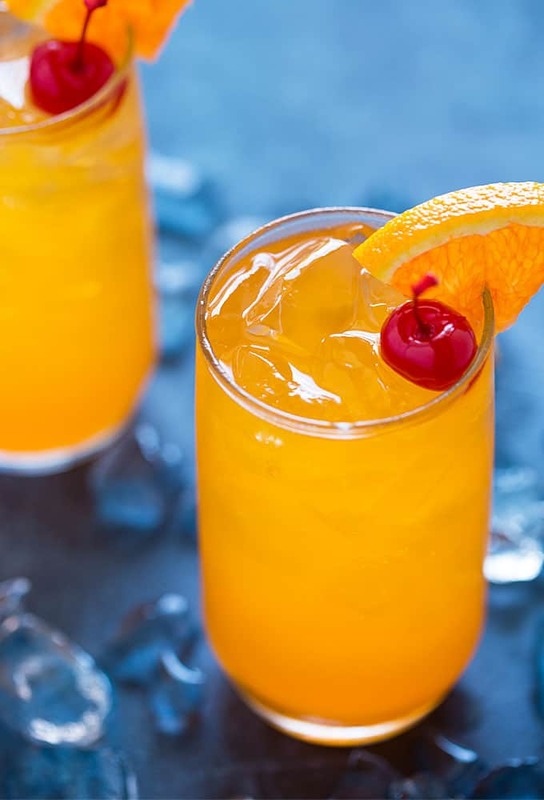 I like to garnish mine with an orange slice and maraschino cherry but that’s totally up to you. Please remember to drink responsibly… cheers to the weekend! Originally published on May 17, 2012 and updated March 10, 2017. Pour all ingredients in a glass with ice. Stir to combine. 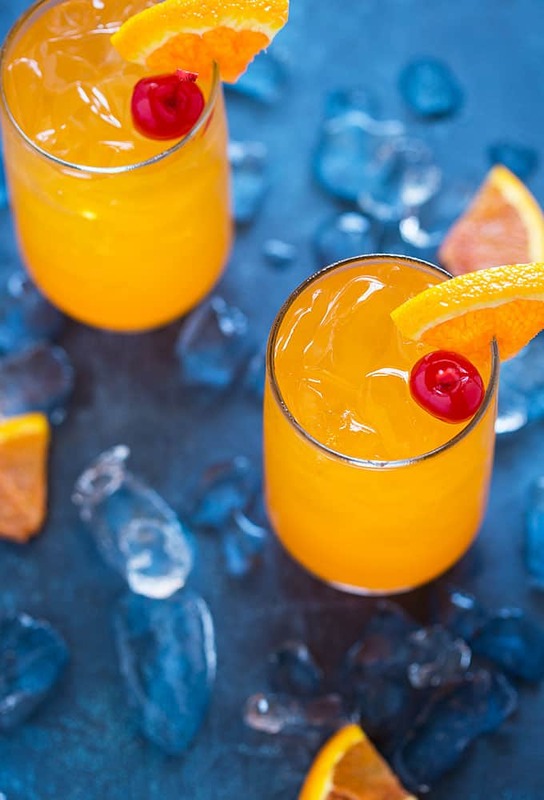 Garnish with orange wedge and/or maraschino cherry, if desired. Hi this looks yummy! However i’m from the uk and can’t seem to find whipped cream vodka here. Any ideas of something similar I could use? Hi Melissa! That’s a tough one…I just recently discovered whipped vodka myself. 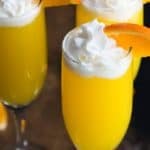 The only thing I can think of would be to add a little whipping cream to the drink, but it might curdle! Sorry! Can one use sierra mist? Sweet! I am so glad you liked them. My friend that turned me on to it uses orange soda too…the root beer sounds awesome! I just made this! So yummy! Just like a creamsicle! Made these last night with fresh squeezed oranges from my garden. They were a huge hit! Two pitchers full were gone in no time! I should have made two batches instead of one. Thanks so much, Karla! 🙂 Cheers! 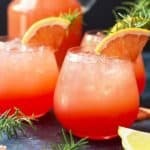 Delicious drink! 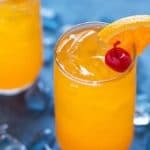 I used vanilla ice cream, orange juice and plain Vodka and had an excellent result. I shook everything in a martini shaker and the ice cream dispersed nicely, creating a creamy effect which didn’t curdle. Hi ,I’m not fond of ginger ale…can I use sprite or 7 up instead. Love whipped cream vodka just haven’t found something good to mix it with. . Awesome. I haven’t drink a alcoholic beverage . in many years. But this is the most tasty dalicious thing I have ever had in my life. OMG I could become addicted to this drink it is so good. 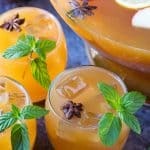 Yummy Thank you for this fantastic drink recipe.